Have you ever had a time when you had to send some really highly Confidential Emails and want to make sure that no one can even know about it??? Well, there is an Online tool known as Lockbin. LOCKBIN's logo itself is Free Online Email Encryption. Well, this service is useful when you want to send some really highly confidential data like credit card Pin Codes,Bank Data,etc. Well, Some hackers may get all your data if they break into that account and they an steal such personal Information. So, This is a time when Lockbin comes to rescue. 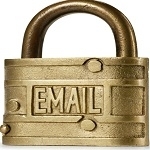 So, Send Password Protected mails and why take a risk of leaving such confidential information free!! Follow this link - This will take you to the lockbin Service's Page. You will see a form. You have to fill all the details. For instance, you can see the image below. Give your Mail a desired Password and remember it. 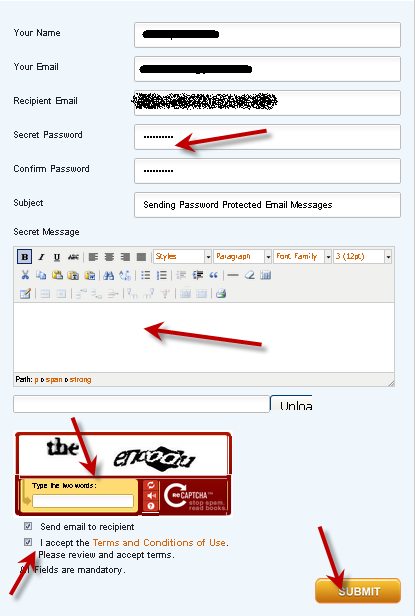 In the form, it has an option to attach file and in the text field, enter your message.After filling all the details, Click on Submit. Now your password protected mail has been sent to the recipient. If the recipient click clicks on the link, he will be prompted to enter the password. If he is not able to give the correct password, he could not read the mail. So, After entering the Secret Key, the recipient could open the mail and read the Message. So, Now you can send any kind of highly confidential mails without any sort of fear. But, the recipient should know the password of the mail. So,you can get tell him the password by any means or phoning/messaging him.